Coastal Premier Properties is pleased to welcome Heather Balaban! Heather will be working out of our Carmel Valley office. Heather is a local SDSU Graduate and has been working in the Real Estate Industry for the past 19 years. She has vast experience in different Real Estate facets; from Property Management, underwriting, and selling Commercial and Residential Real Estate. Heather is passionate about her job and loves to work hard for her clients. Her hobbies include tennis, working out, yoga, hiking, going to the beach, snowboarding, golfing, surfing, and spending family time. Click here to contact Heather! For more about Coastal Premier Properties, visit our website! Looking for fun events and activities this September? Here is a list of some upcoming events and happenings in San Diego! Browse our collection of events for your sunny Labor Day weekend. From an exclusive cruise with BBQ-inspired brunch to a special sunset cruise, there is something for everyone. 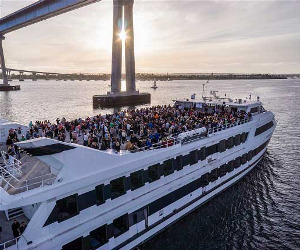 No matter which event you choose you can expect dynamic San Diego views, on-board entertainment and seriously delicious eats. Click here for more information. One of the top 20 “Must See” seaside festivals in the world according to American Express and USA Today’s 10 Best, the U.S. Sand Sculpting Challenge and Dimensional Art Exposition will return to San Diego’s downtown waterfront for 2018. Click here for more information. The Labor Day Stickball Tournament takes over a the streets of Little Italy and allows players to revisit some childhood memories. The child in all of us is itching to be a part of this Little Italy tradition! The annual Labor Day Stick Ball Tournament is all about honoring long-standing traditions, paying tribute to this East Coast sporting pastime and having a fun! Click here for more information. Explore 20+ culinary creations from local and award-winning restaurants, experience 10+ craft beer and wine “Sip Stops,” and enjoy live music, all located throughout the Village of Del Mar. Click here for more information. Join us during “Food Truck Fridays” in Balboa Park! 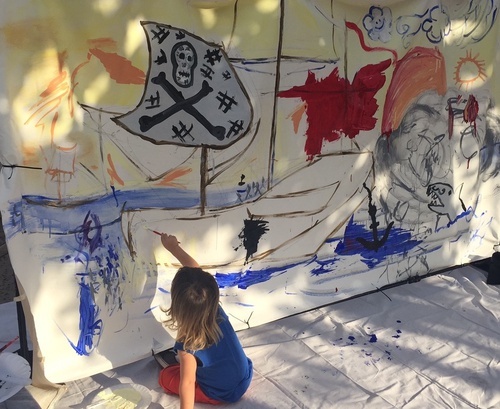 The Family Mural Project provides participants new and exciting ways to experience art. Help paint a large mural in front of the Timken, then go inside for an art treasure hunt. Each date has a unique activity, highlighting different paintings in the museum. Click here for more information. Carlsbad Brewfest celebrates craft beer with tastings from more than 34+ San Diego & national breweries, music, entertainment, games & food vendors. Click here for more information. Try gourmet burgers from more than 20 of San Diego’s best restaurants as they compete to win the “Best Burger” award at Burgers & Beers. Help decide who will hold the crown as the best burger in San Diego at the third Annual Reader Burgers & Beer (Presented by Jensen Meat) event. Click here for more information. The San Diego Blues Festival features 9 musical acts on two stages. Festival attendees will enjoy local craft beer, cocktails and wine along with specialty food trucks and arts and crafts vendors. Click here for more information. Compete in a KCBS sanctioned BBQ competition, sample world class BBQ and enjoy the beer garden, all while watching the San Diego Bayfair’s World Series of Powerboat Racing and listening to live entertainment right on San Diego’s Mission Bay. Click here for more information. Swoop Freestyle is the latest extreme sport and the only parachuting event to take place within major cities worldwide, bringing the action straight to people’s doorstep. Swoop Freestyle FAI World Championships 2018 marks the second year of the innovative and multi award winning international sports format. Click here for more information. KAABOO is the ultimate live entertainment experience. Enjoy world-class music, hilarious comedy, inspiring contemporary art, incredible cuisine, craft libations, and personal indulgences. KAABOO is not your ordinary festival – it offers an unbelievable live music experience without the rough qualities of a typical music festival. SDTA and KAABOO are offering pass and hotel packages to you at discounted rates! Click here for more information. San Diego Bayfair’s World Series of Powerboat Racing – a family festival tradition for more than 40 years speeds to the finish line. San Diego Bayfair has a long and rich tradition in Mission Bay Park. Click here for more information. Grab your vintage surfboard (or beach chair) and gather for a nostalgic longboard competition at the North Side of Crystal Pier in Pacific Beach. The Old Mission Beach Athletic Club presents their annual longboard surfing contest. Click here for more information. Oceanside Harbor Days are two event filled days of sun, sand, and surf including a costume party for kids 12 and under at Pirate Village; Arts, Crafts and Food booth areas; Nail ‘n’ Sail Competition; music, a beer garden and more. Click here for more information. SaltDog Classic is a San Diego style festival right on the ocean. Held at Seaside State Beach, this is a music and art event you won’t want to miss. Adults will benefit from the Tiki Bar and Kids from the snacks and games. Pet Owners will be pumped having their dogs at hand, Musicians will jump for joy with live music, and anyone can appreciate a hot summer sun at the beach, so let’s jump on in. Click here for more information. San Diego Festival of Beer is a fun-filled evening with beer lovers like yourself enjoying the sounds of live music while sampling unlimited and exclusive craft beer tastings, food trucks, vendor booths, lively music, fun games, and more! Click here for more information. San Diego Restaurant Week returns Sunday, September 23rd through Sunday, September 30th with a FEAST for the senses at over 180 participating restaurants. Dine deliciously at restaurants offering prix-fixe menu options throughout San Diego County. Click here for more information. Since 1973, the La Mesa Oktoberfest has featured hundreds of exhibitors, family friendly activities, German food, music, dancing, games and of course beer. Click here for more information. The Bubble RUN™ 5K is like running through Willy Wonka’s factory. Clad in white t-shirts, adults, kids and strollers run, walk, dance and play across 3 miles of absolute fun! Click here for more information. The Miramar Air Show is an annual air show held at Marine Corps Air Station Miramar in San Diego, California. 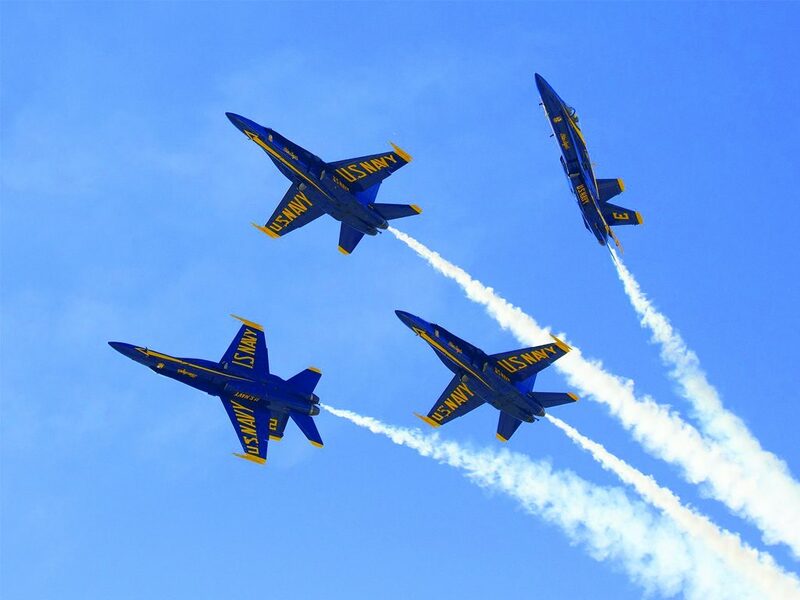 This three-day event is the largest military air show in the United States, with total annual attendance estimated at 500,000. This years air show will be September 28th-30th. The theme for 2018 is Honoring 100 years of Women in the Marine Corps. Click here for more information. CRSSD Festival is a two-day electronic music festival at the 12 acre San Diego Waterfront Park featuring three stages and 36+ performers. In addition to the music, the festival will offer craft beer, mixed drinks, food, and more. Click here for more information. 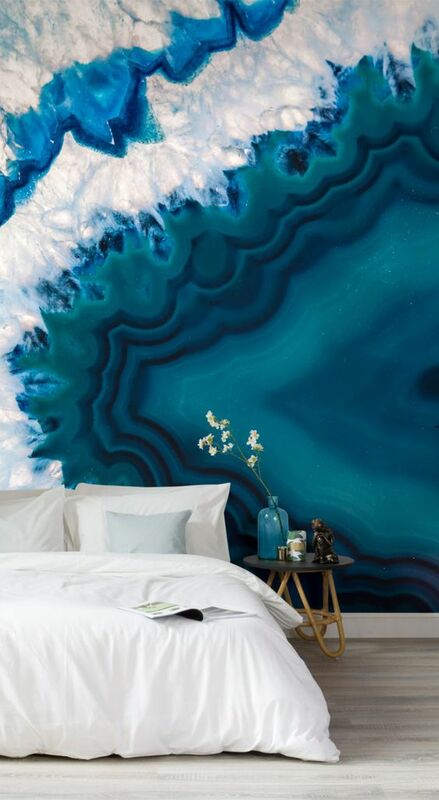 Are you ready for a new and exciting new aesthetic in your home? 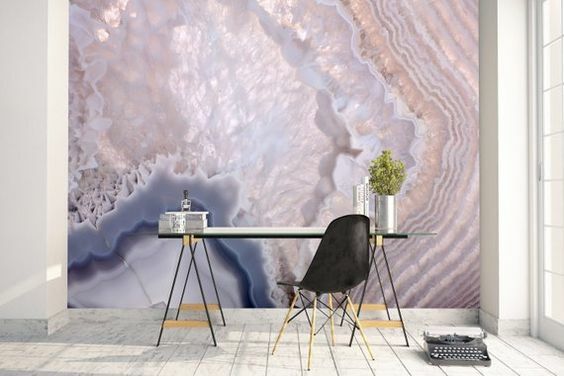 Get rid of your monotonous wallpaper and give it a face-lift with agate-themed wallpapers. 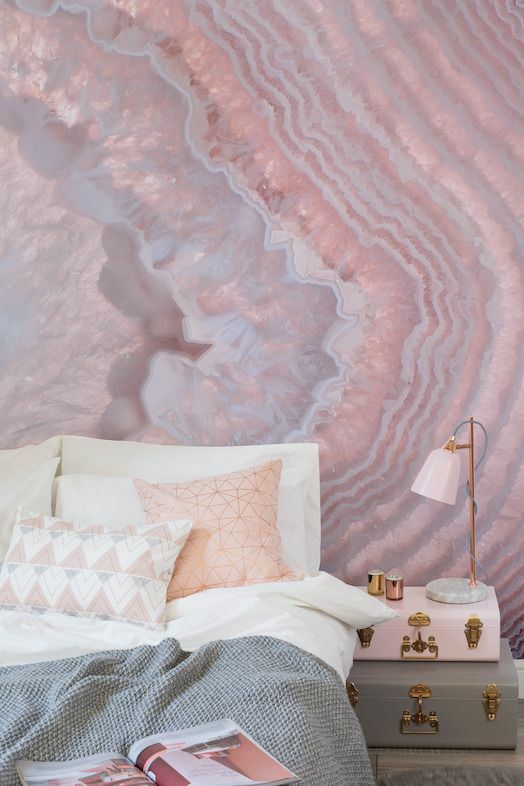 These Geode inspired designs will make your walls pop! 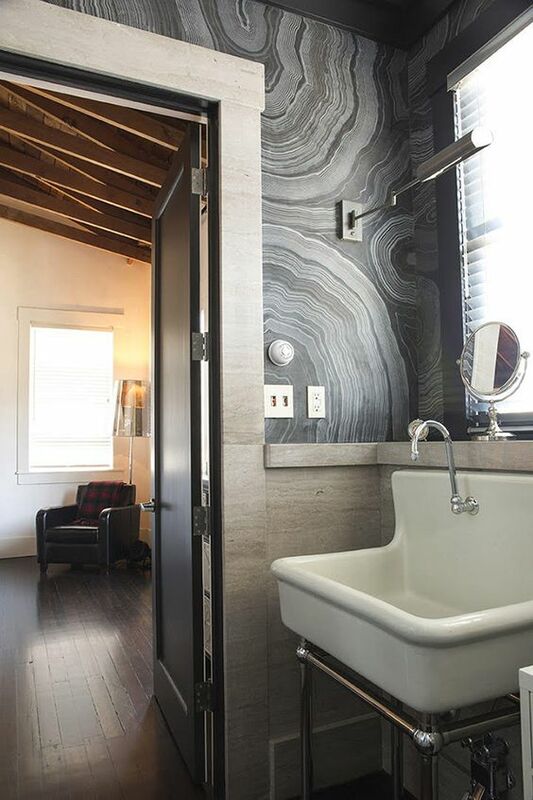 This design can complement any color scheme, as well as make your room radiate a sense of serenity and tranquility. 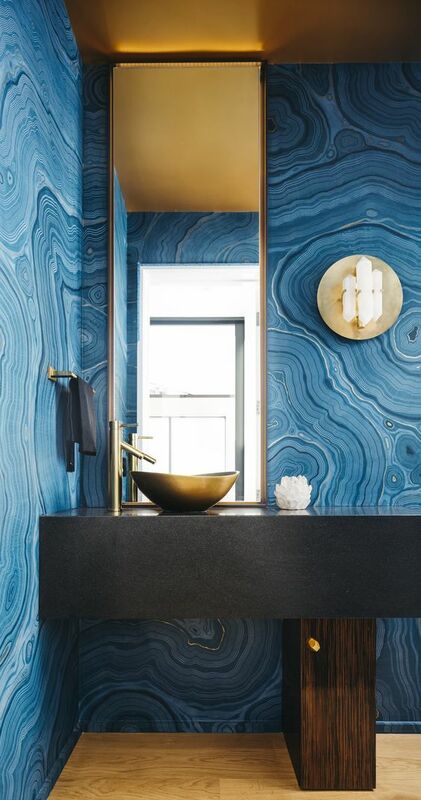 Take a look at these photos below for inspiration! For many, an urban lifestyle is very appealing. In a city like San Diego, you can live Quick access to the trendiest restaurants and bars, shorter commute to work, and the overwhelming excitement that an urban city has to offer. Here’s what to look for if purchasing a condo is in your future! A perk of owning a condo is that the community often offers amenities that may be out of reach for most people. Look for a condo that offers residents a pool or fitness center to get the most out of your purchase! While living in a condo, other people handle the maintenance for you. This is great news for anyone who works, travels, or just doesn’t feel like dealing with the work. HOA fees vary widely depending on location and the quality of your condo. These fees cover the costs of amenities such as a gym, pool, and maintenance, as well as upkeep of the property. A big benefit of owning a home is the privacy it gives you to do what you please. Some condominiums lack privacy due to the fact that walls, parking, and other common areas are shared with your neighbors. Consider factors such as noise and the number of residents in your building to ensure peace and quiet around you. Most condo complexes offer residents at least 1 or 2 parking spaces, but it is important to consider your social life. Explore the area surrounding your complex so you can get a good idea if your friends and family will have easy access to on-street or off-street parking. If you’re craving some enticing Mexican cuisine in a casual setting, Los Primos Mexican Food is perfect for you! Los Primos serves both authentic Mexican dishes such as Tacos, Burritos, and Tostada Bowls along with Mexican-American fusions such as Carne Asada fries, Omelettes, and Super Nachos. They also have a breakfast menu that is served all day for breakfast lovers! They are well known for their wide range of burrito options, but their most popular burrito by far and also, widely recommended is the Monster Burrito. Its popularity stems from not only its gigantic size, but also because of its deliciousness and variety of meat options, and it’s surprising low price! Finally, one of the best features of this restaurant (and my personal favorite), is that it has its own self serve chips and salsa bar, absolutely free for customers! Make sure you experience one of SD’s best and classic Mexican restaurants! Coastal Premier Properties is pleased to welcome Sarah Weis! Sarah will be working out of our Carmel Valley office. My name is Sarah Nicole Weis, and my passion is to help people find paradise at home. I am a native to Cardiff by the Sea and am very happy to still be living in Sunny San Diego. I am full of positive energy, and furthermore, easy to communicate with. This lead me to sell 2 properties in the first 3 months of having my real estate license. As your real estate agent, you will find me to have a bright attitude and sunny disposition. My dedication and hard-working on your behalf, will pay big dividends for you. I bring integrity, creativity and an enjoyable process to every detail of your real estate transaction. I will advertise your home, negotiate the purchase contract, oversee the inspections, handle all necessary paperwork and supervise the closing. As someone who has previously worked a transaction coordinator for 2 years prior to getting my real estate license, as well as a legal secretary and an executive assistant for over 10 years, and helped run a construction business, I will bring this added experience and insight to bear on all your real estate needs. Click here to contact Sarah! For more about Coastal Premier Properties, visit our website!